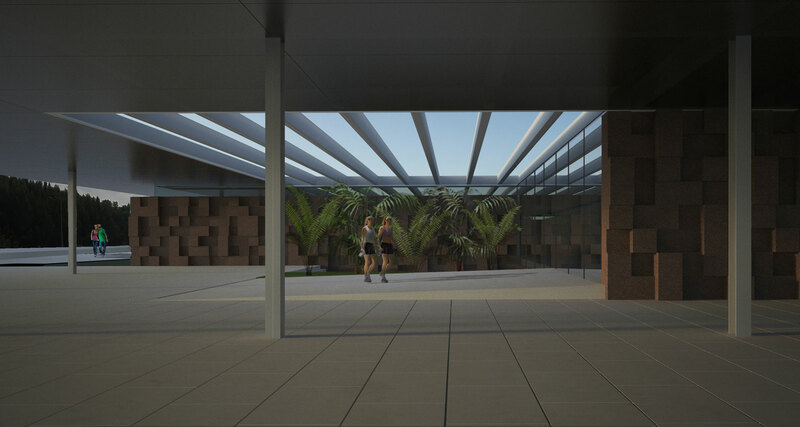 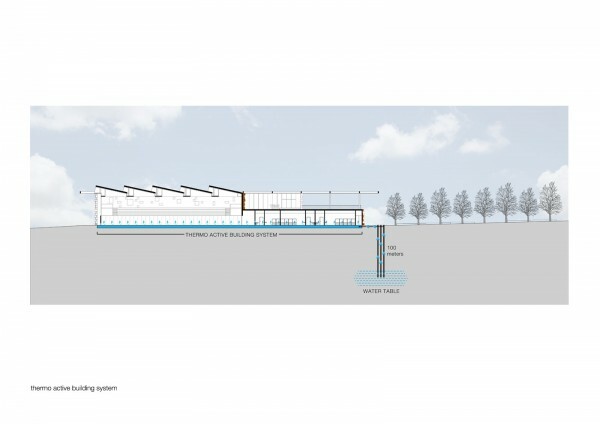 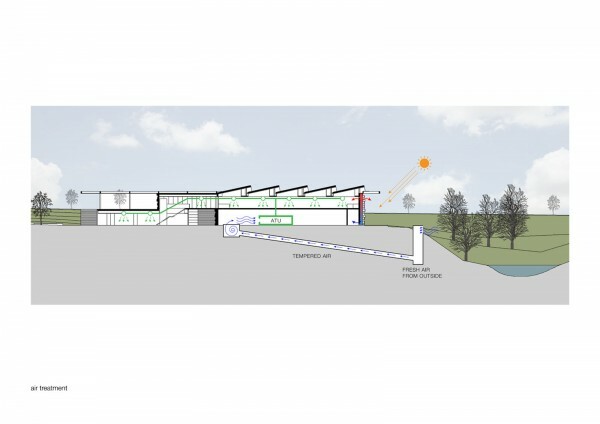 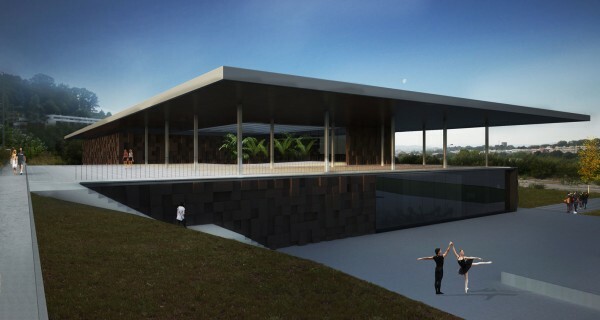 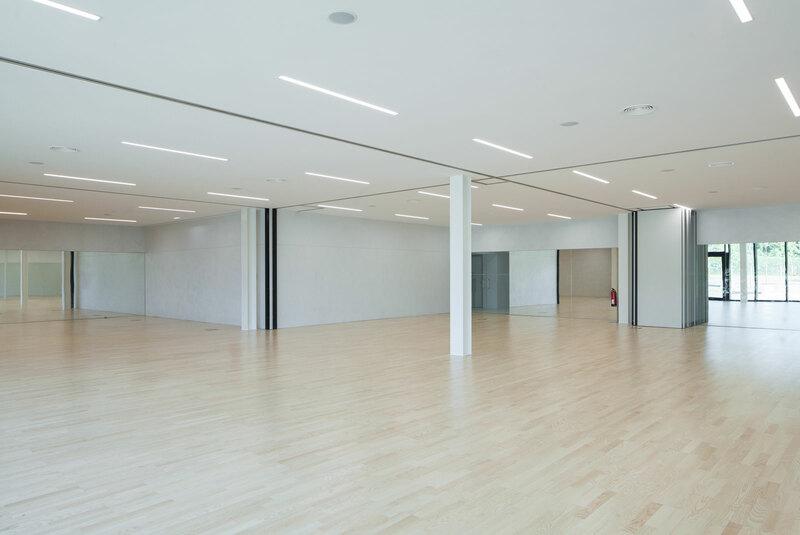 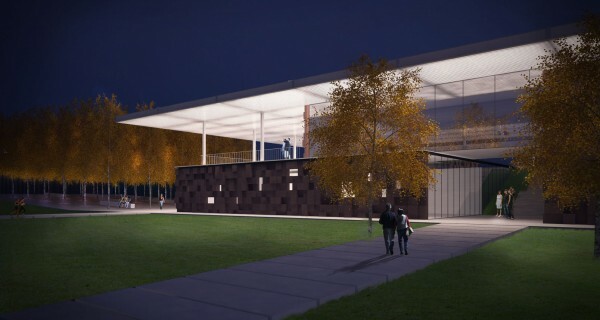 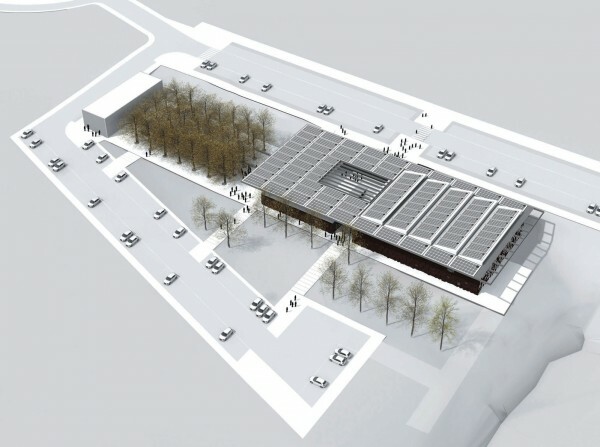 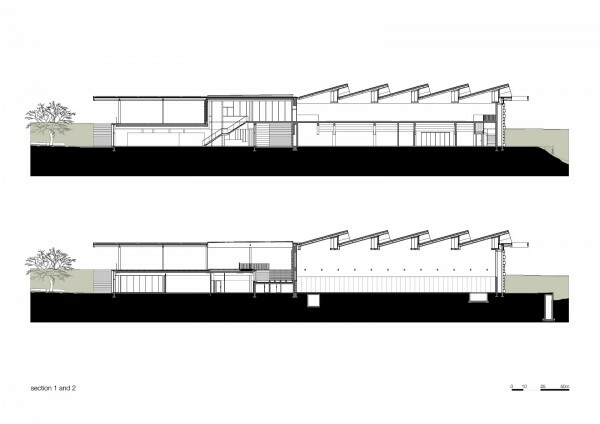 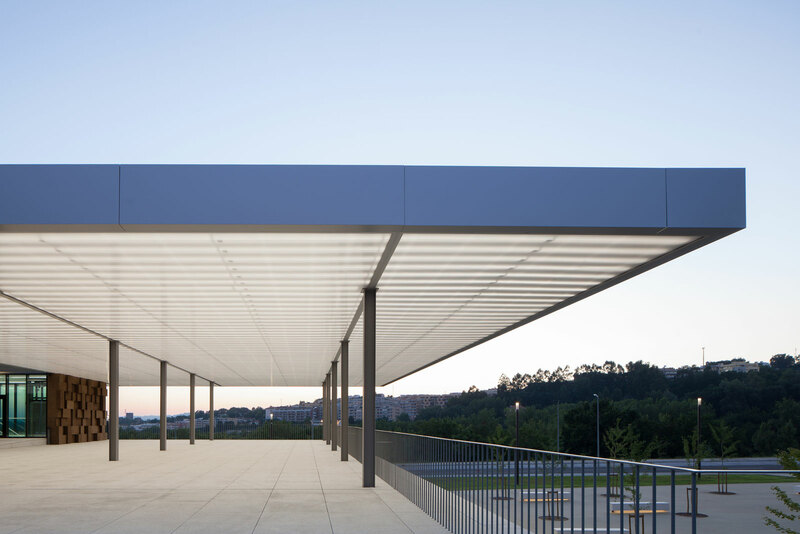 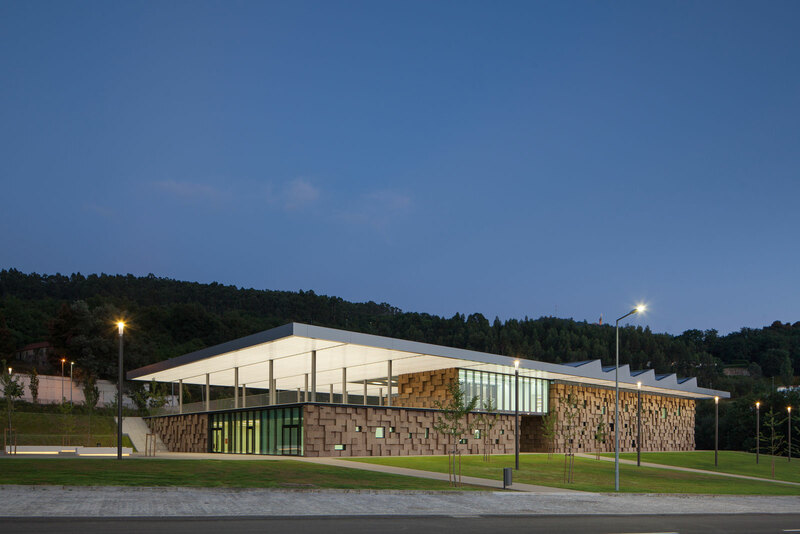 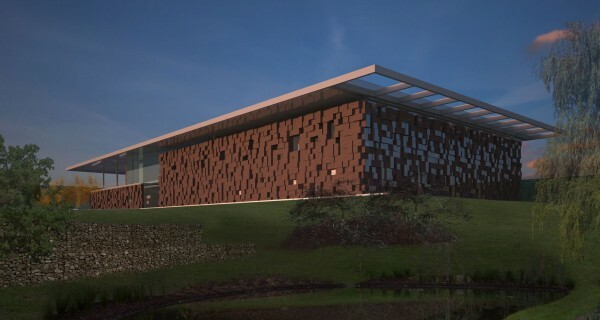 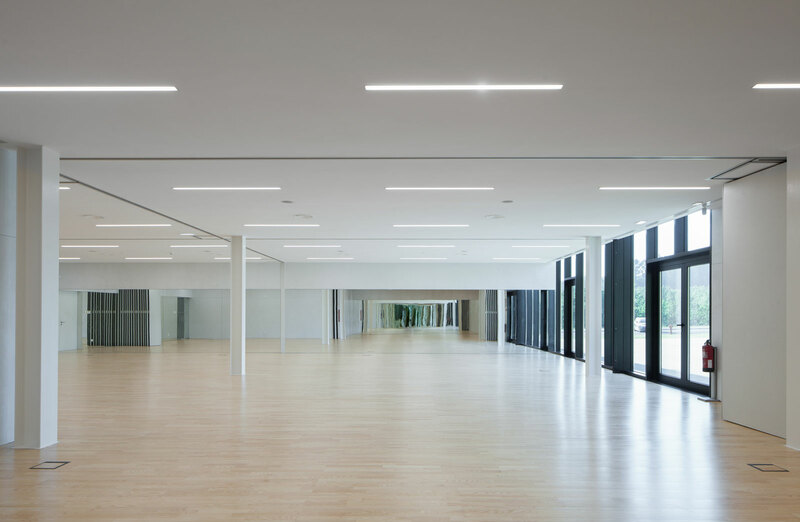 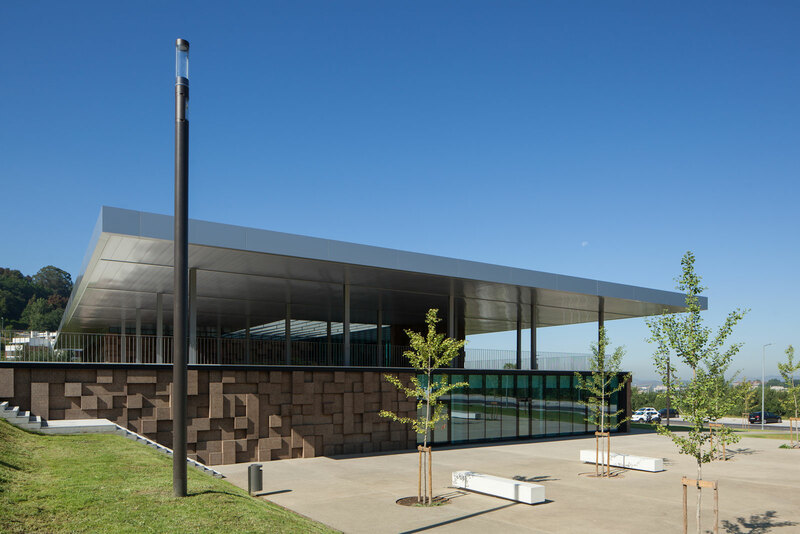 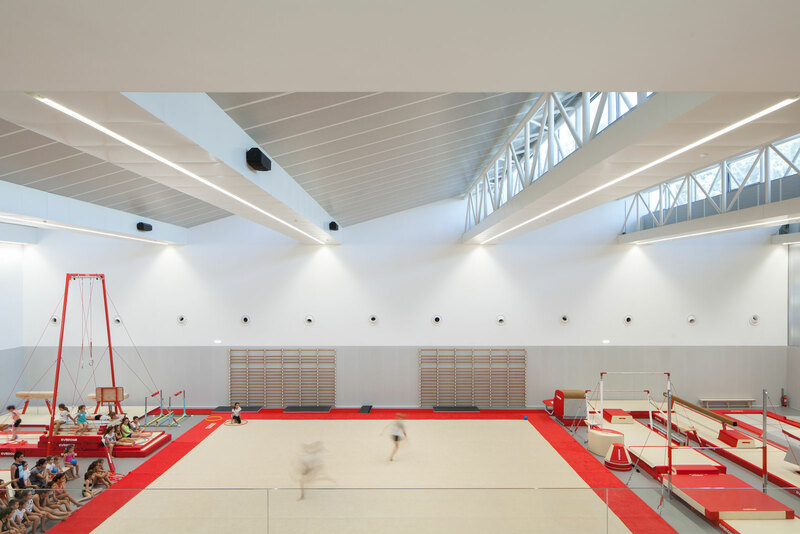 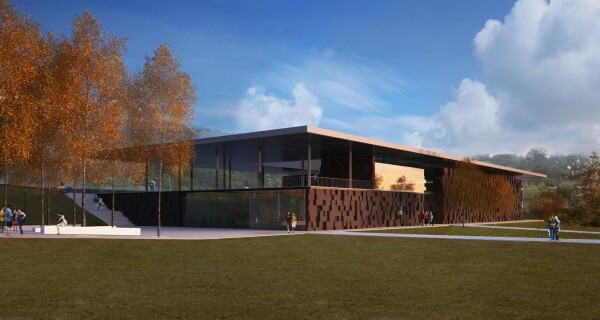 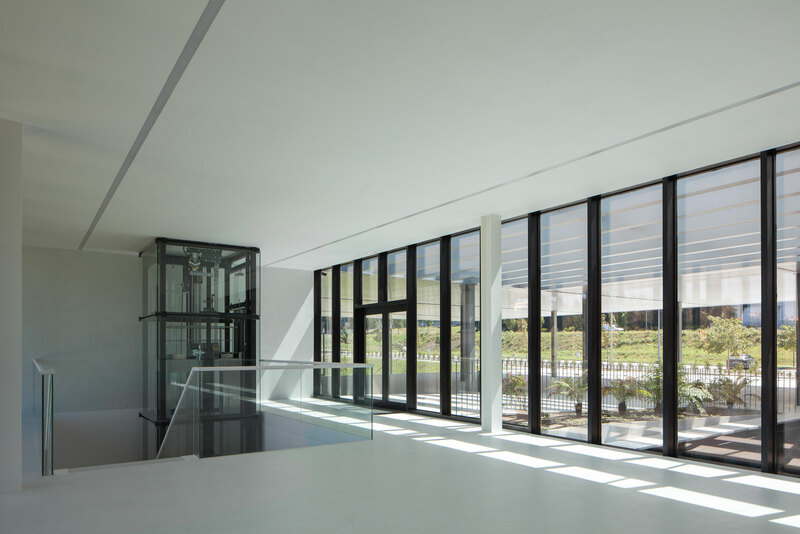 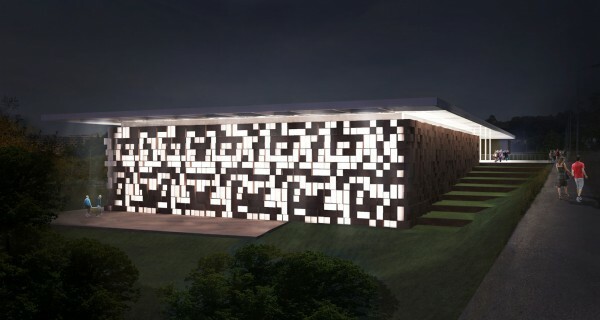 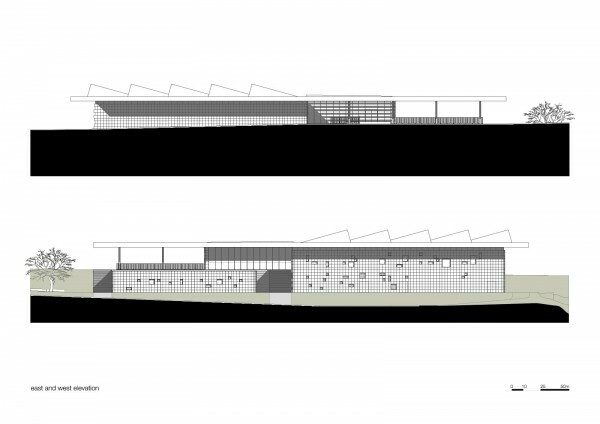 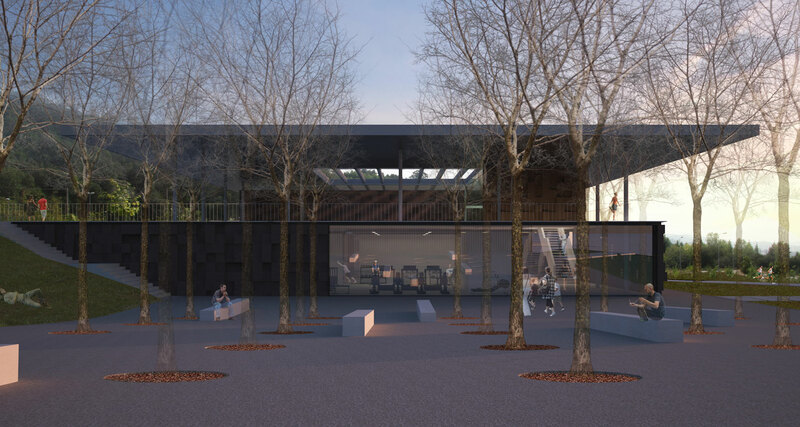 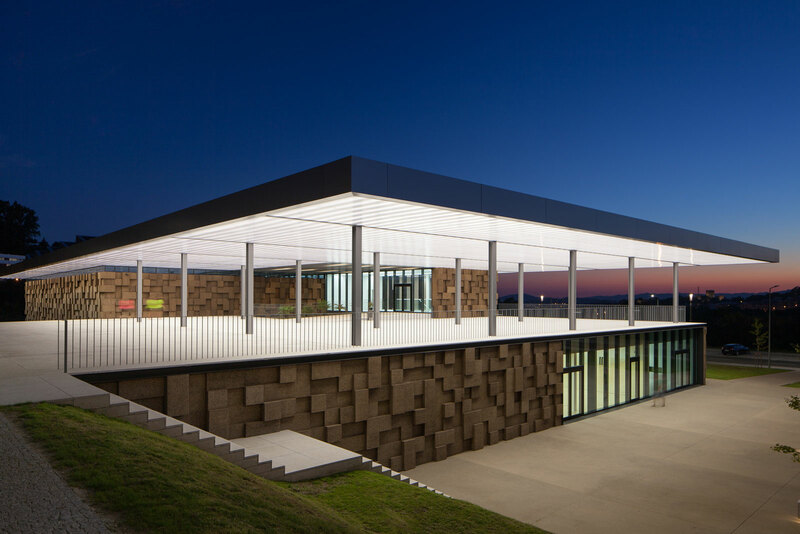 With a 3100m2 of covered area, the Gymnastic Training Center of Guimarães is located at the East limit of the city park and was conceived for practice and training of high performance gymnastics. 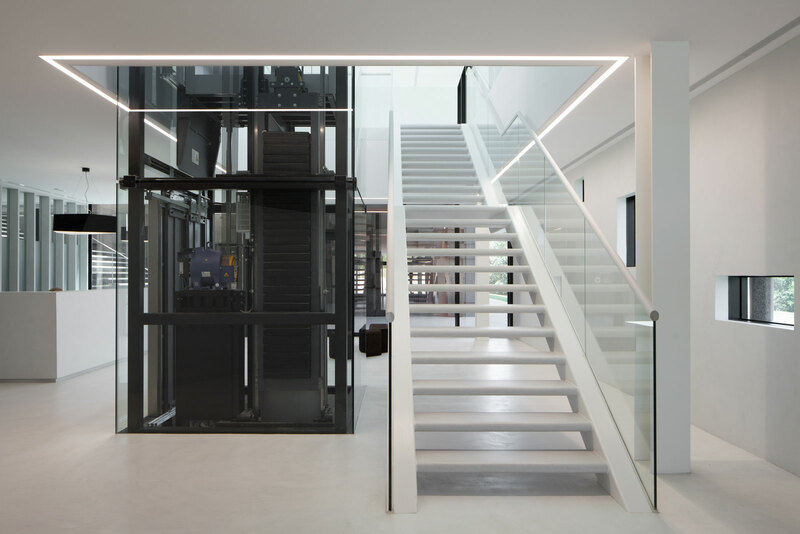 The intent of applying the technologies that transform this kind of building into an energy-independent structure with low CO2 emission was the big challenge, but the objective was surpassed and the building is already a landmark in sustainability, energetic efficiency and innovation. 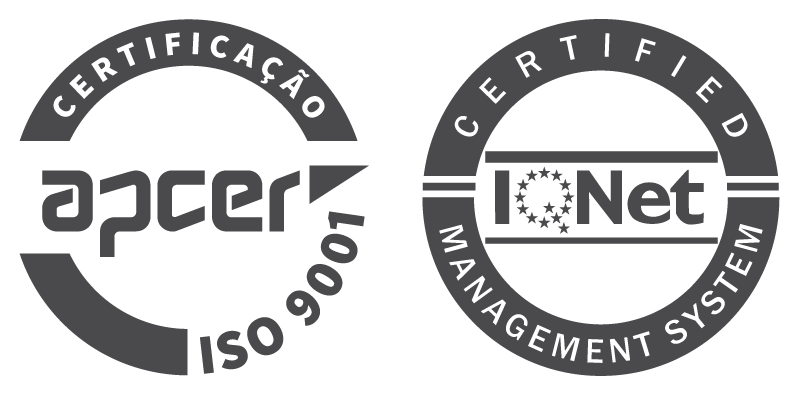 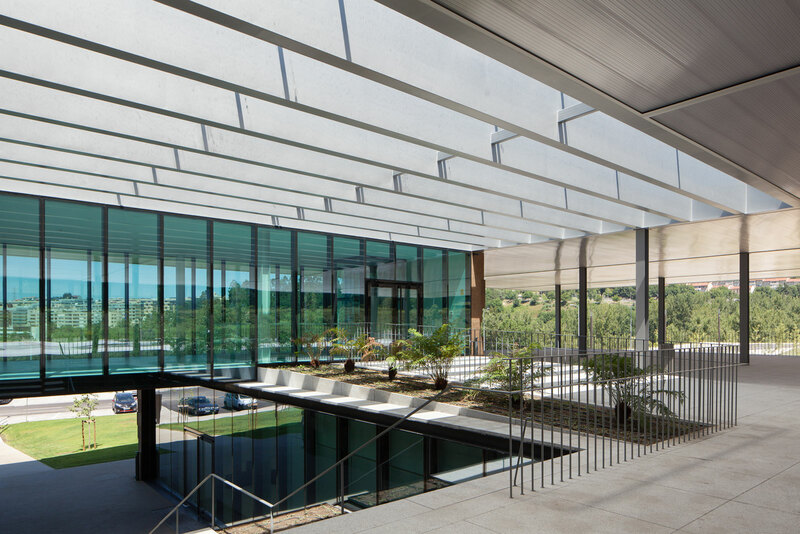 The Training Center achieved high performance ratings by the LiderA system, with an A++ certification, recognition which is rare in sustainability, not only in Portugal but all around the world. 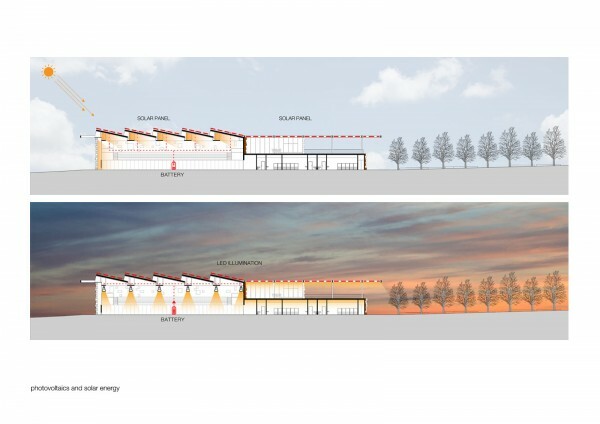 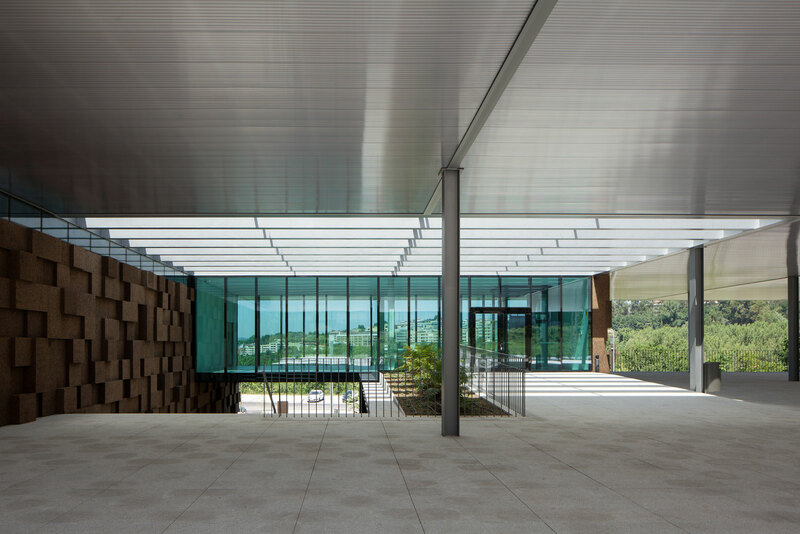 The building sits between two pre-existing streets, both permit access to the building, the one at a higher level is the main street, and the other, on a lower level, limits the city park and is used for exclusive access to the Training Center. 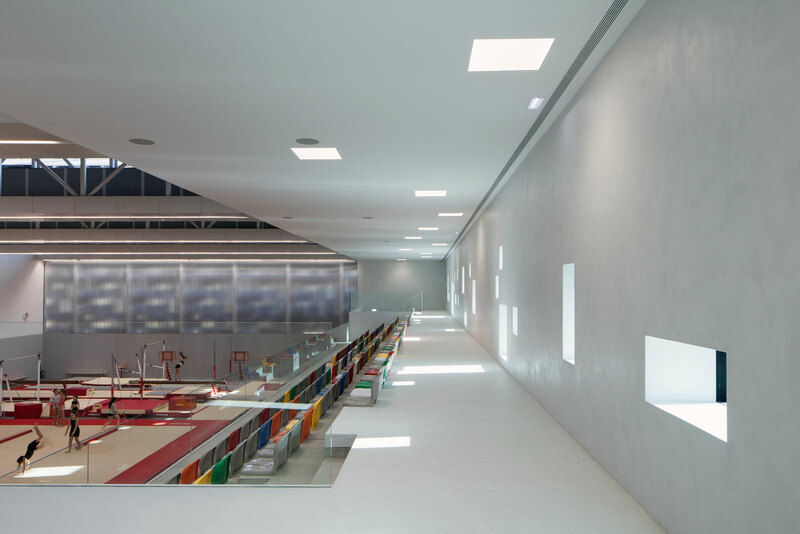 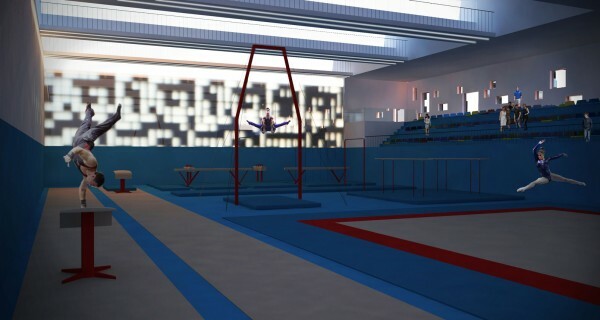 The Training Center is exclusive for the practice of high performance gymnastics and consists of a pavilion, a gym, locker rooms, administrative offices and public spaces that grant access to the stands. 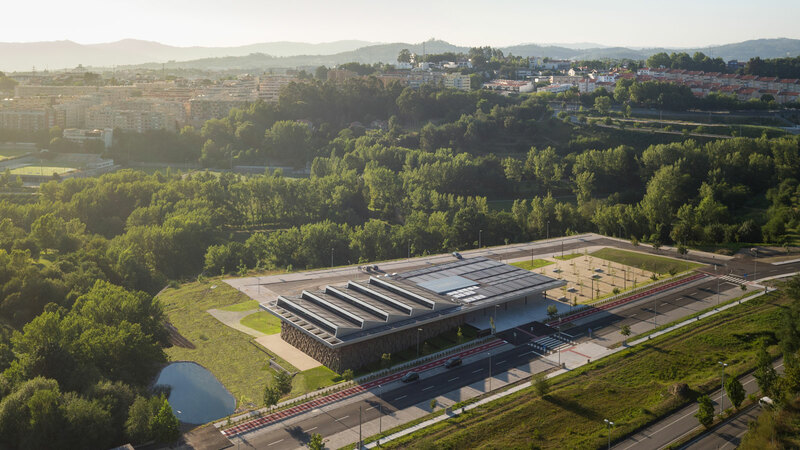 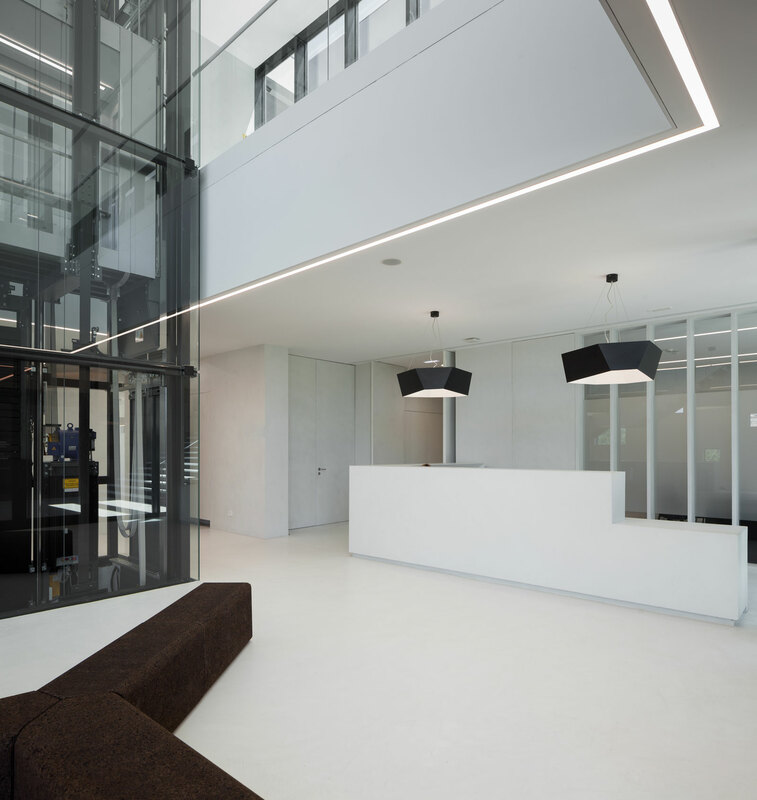 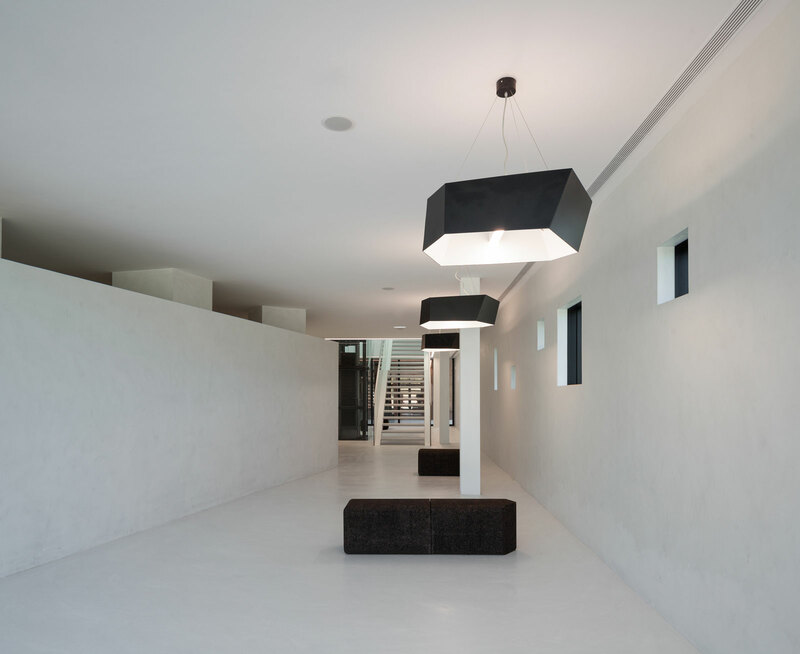 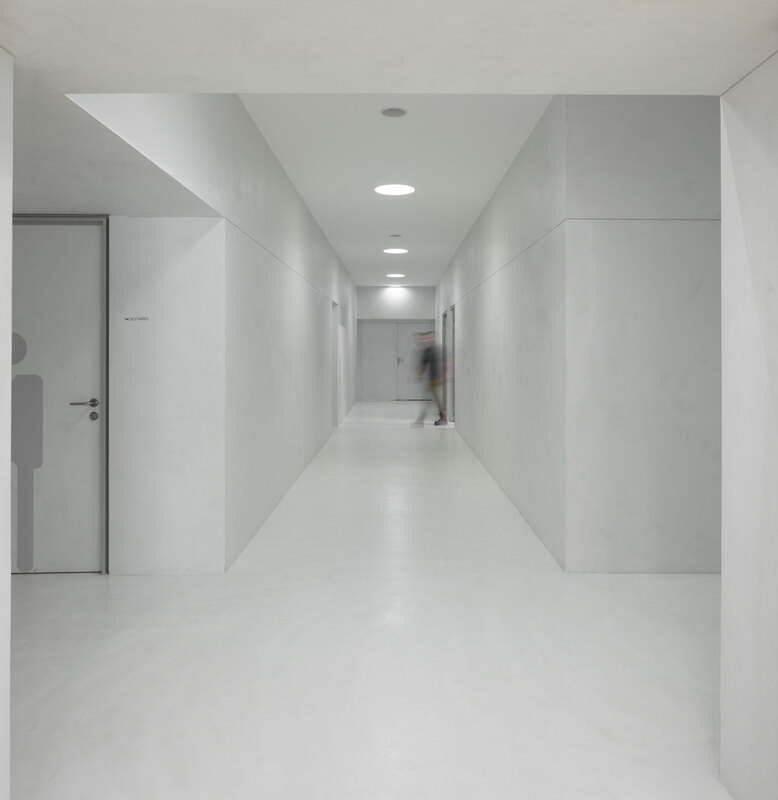 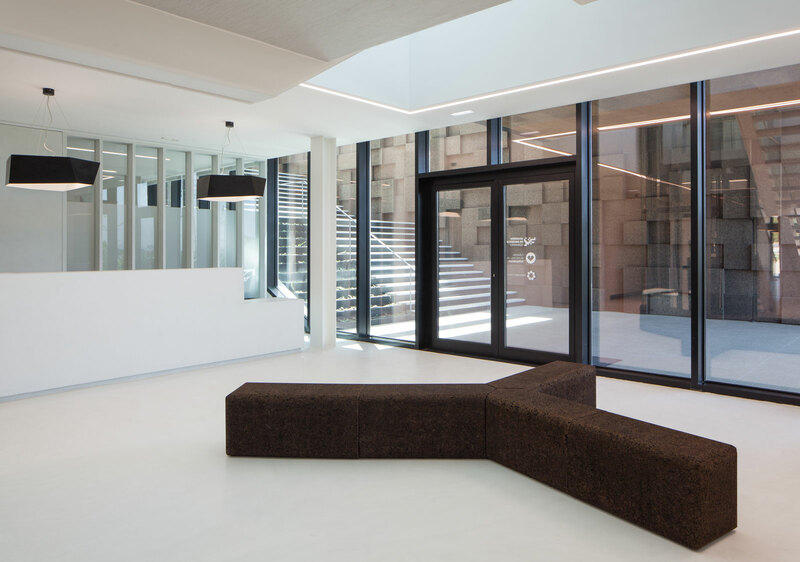 The choice of materials for the building reveals a pedagogic intent and shows environmental concern in the building design, serving the energetic efficiency and searching for a clear balance between technology and architecture. 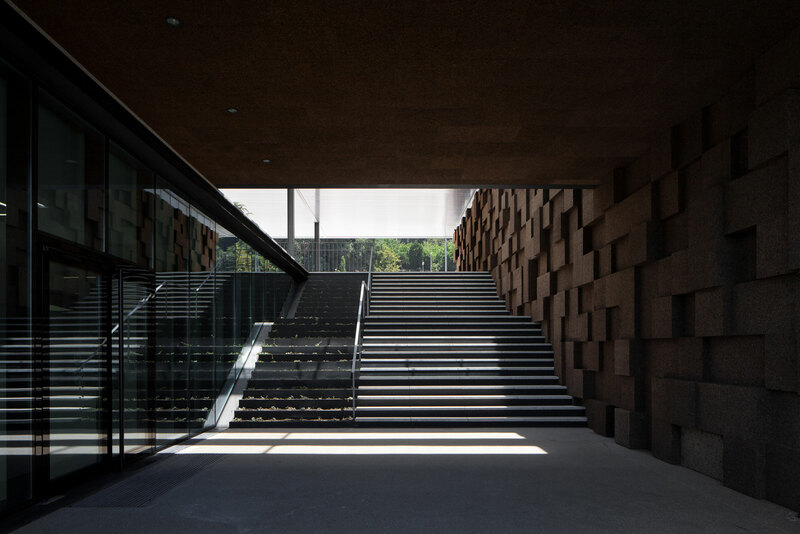 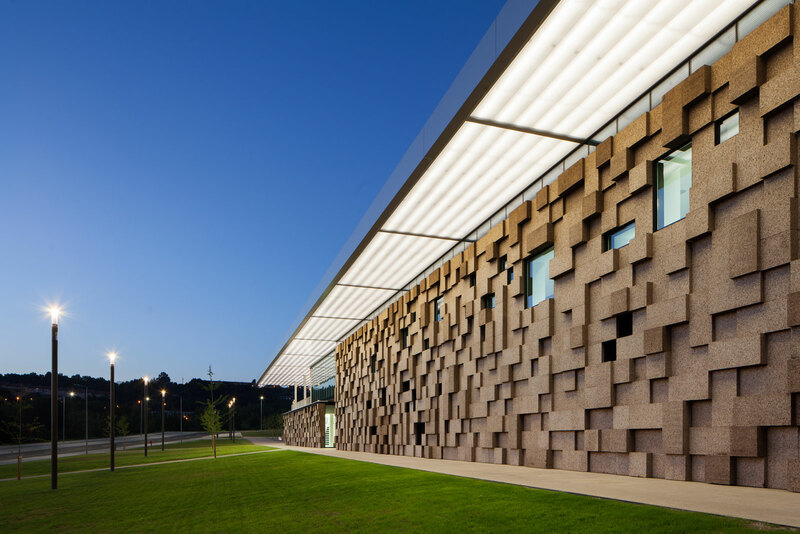 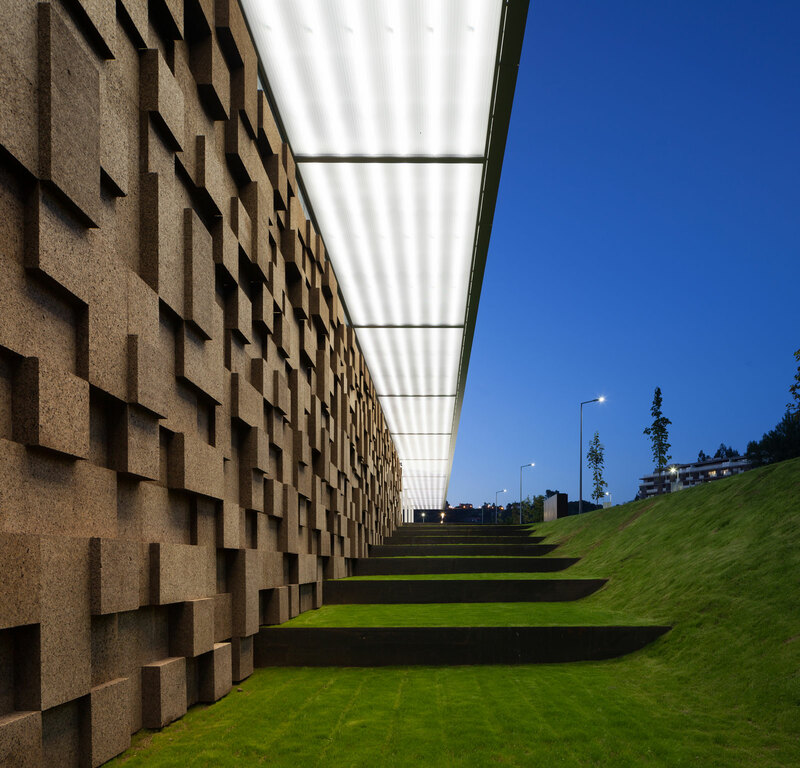 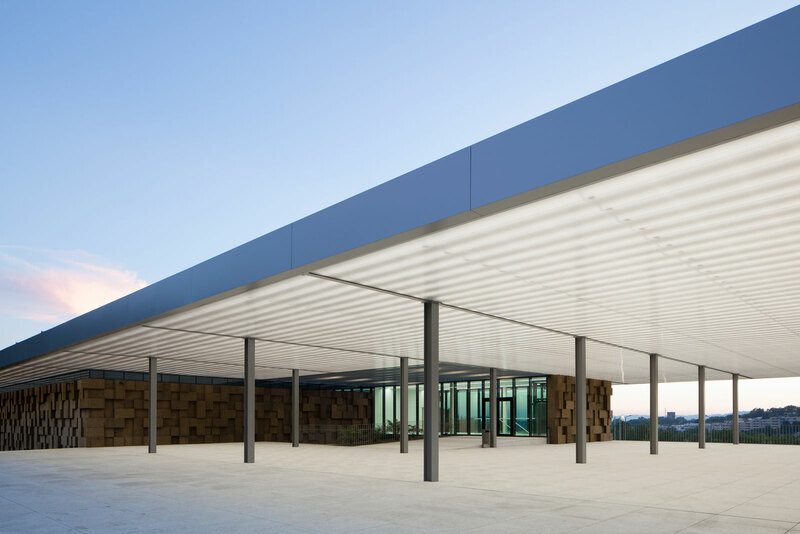 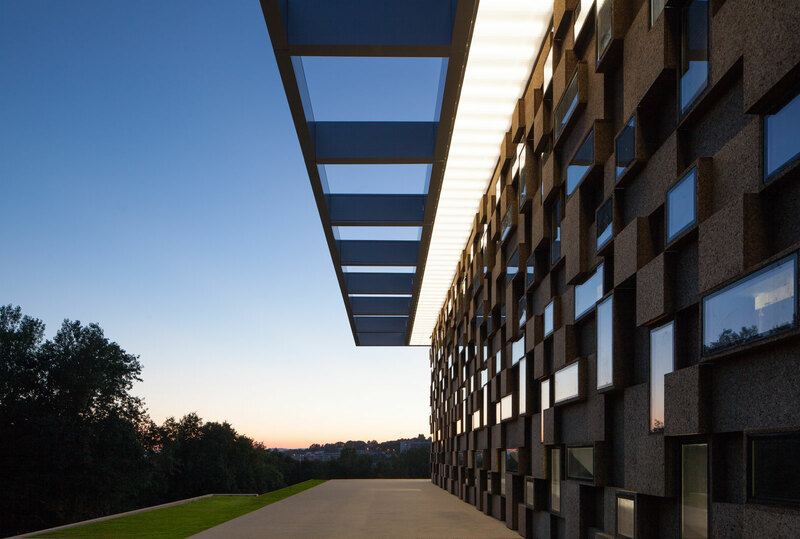 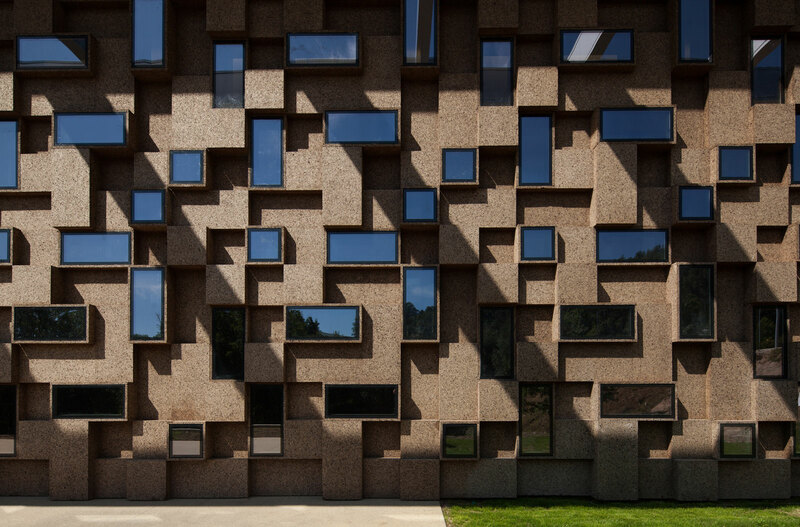 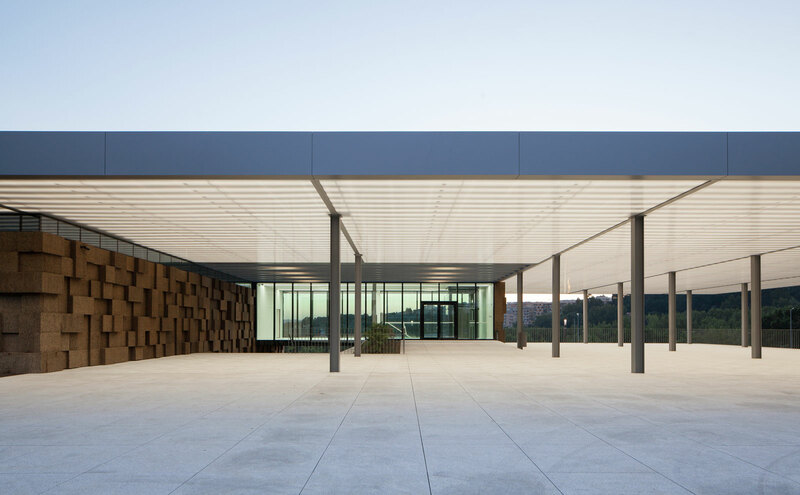 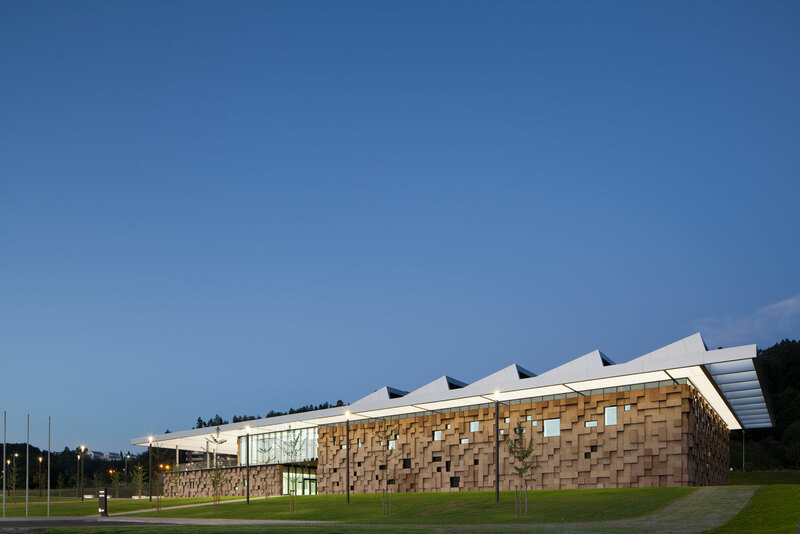 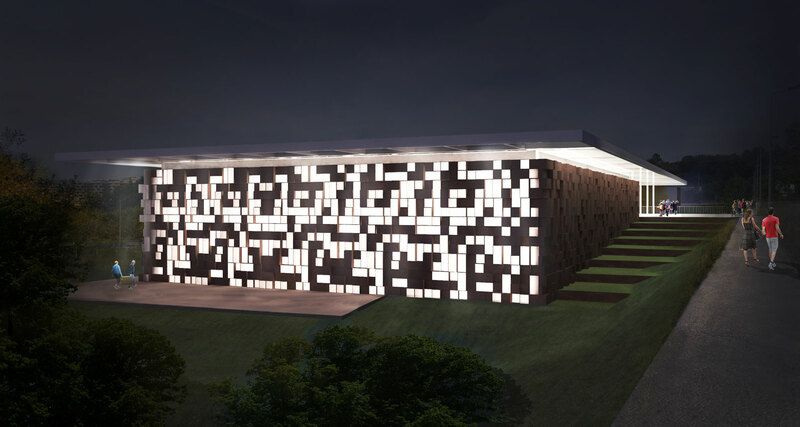 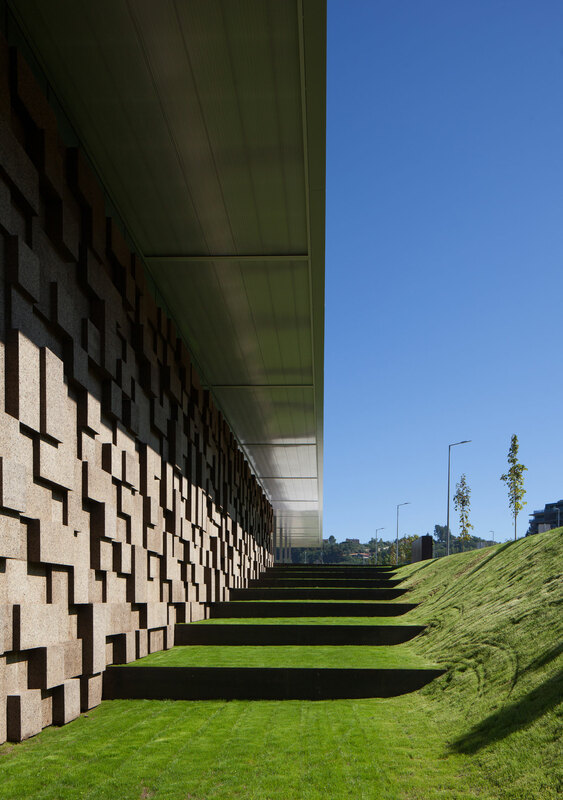 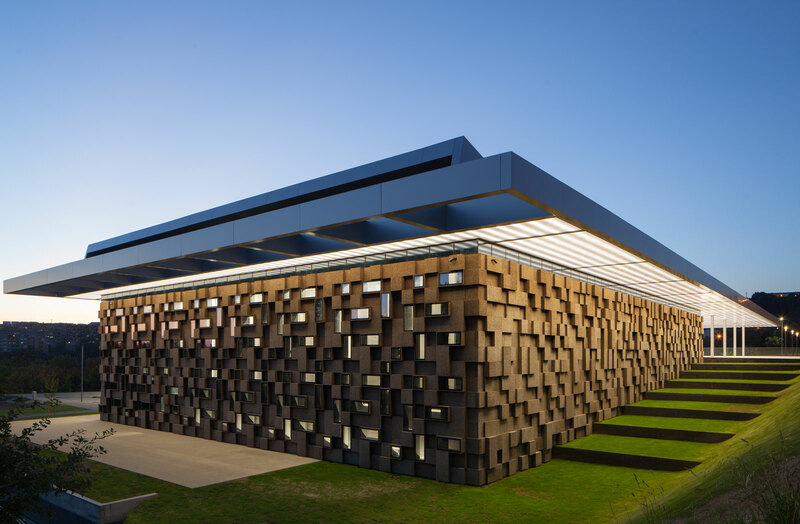 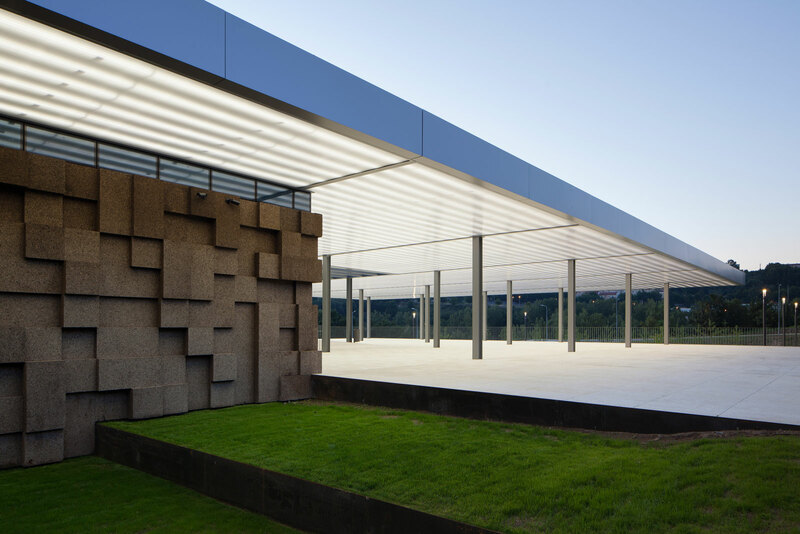 The facade, built from dark agglomerate cork, is a perfect example of that versatility, intending to represent a strong design trait for the project while keeping the association with the environmental sustainability. 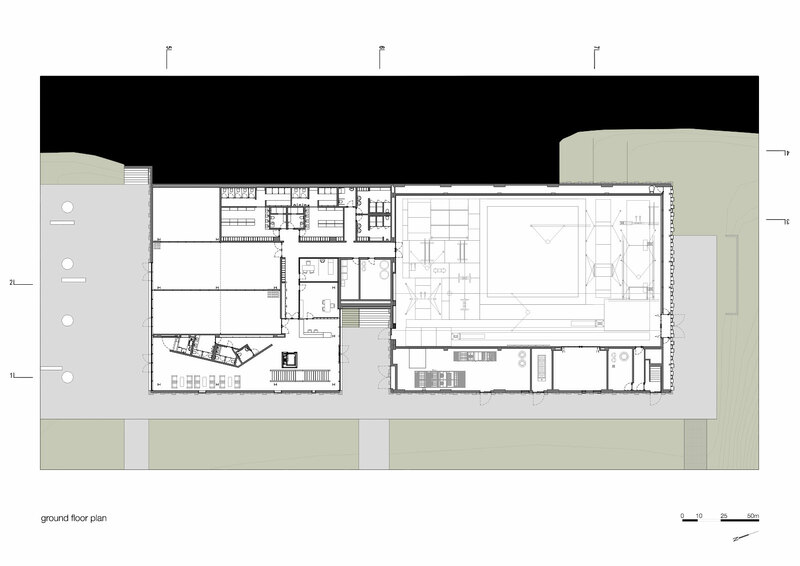 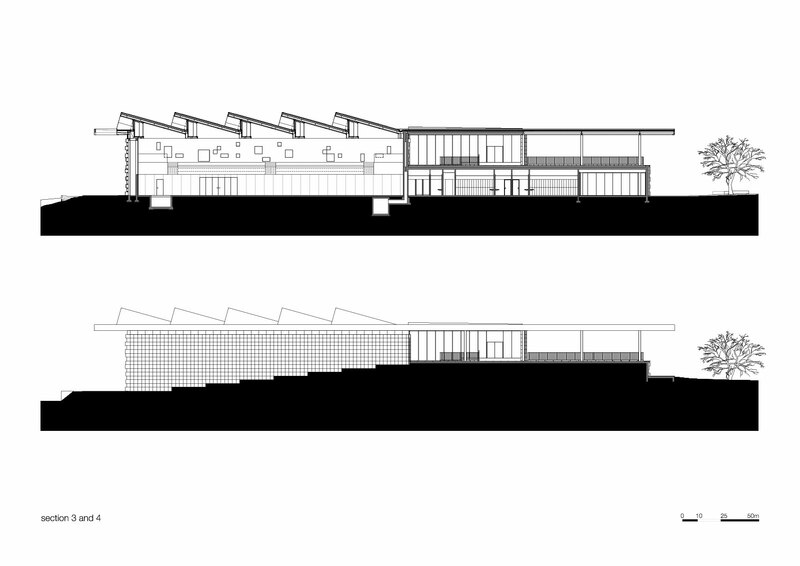 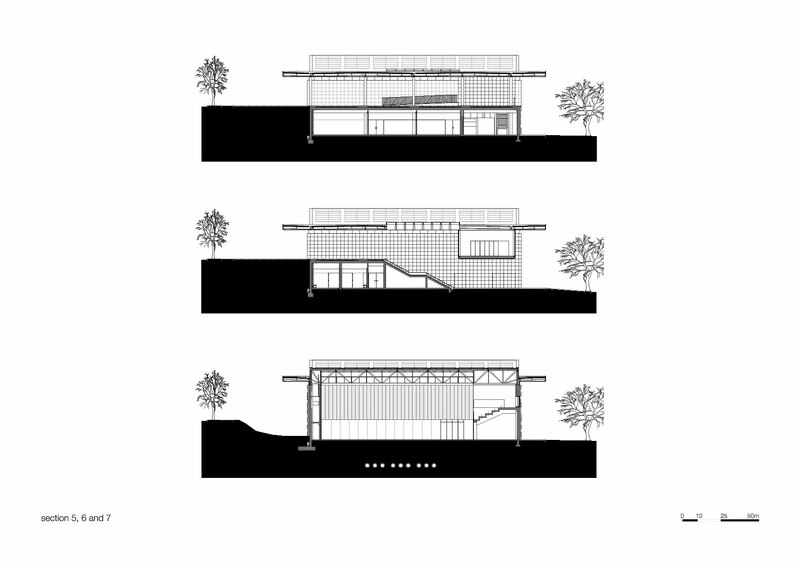 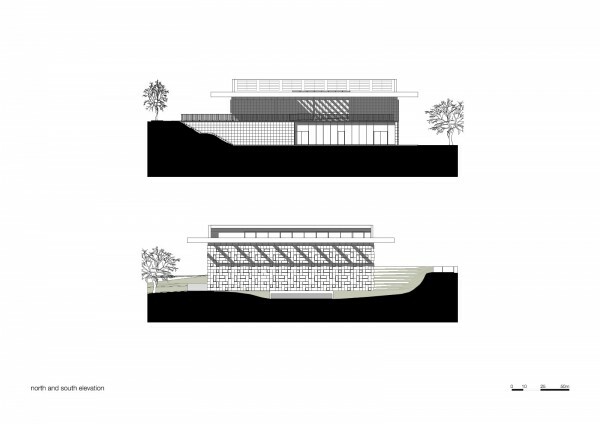 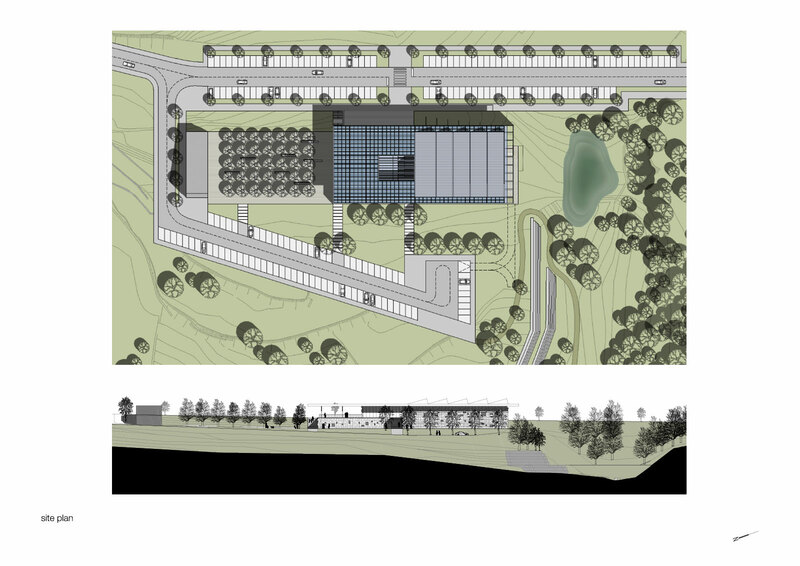 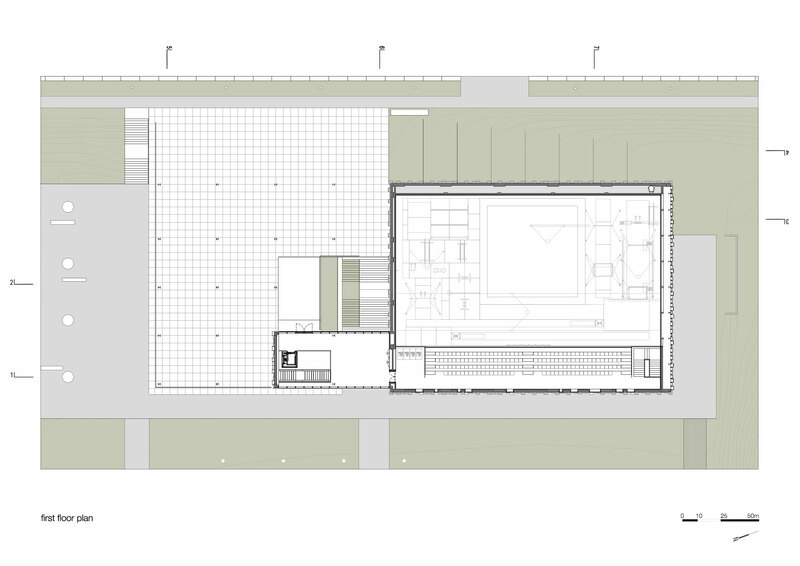 The volumetric composition of the building was defined by its core programmatic needs and by the will to create a building that is integrated in the local landscape. 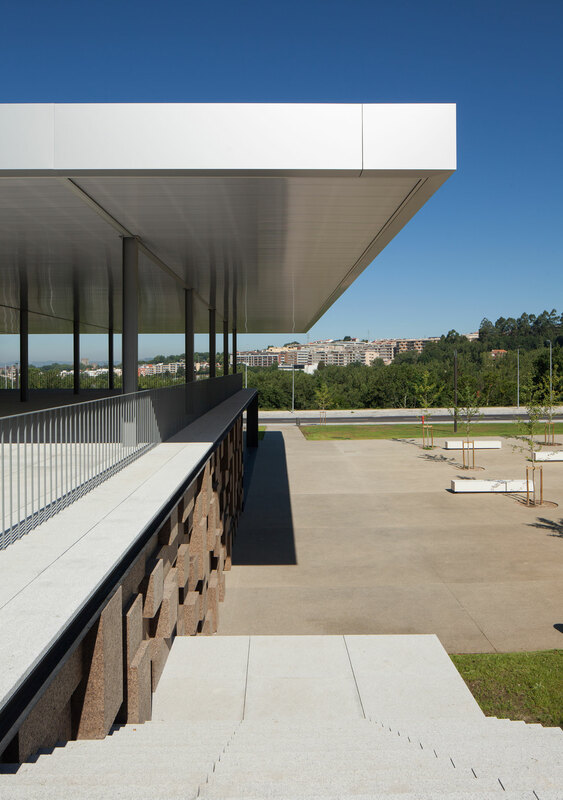 Therefore, the building searches for scale and references on the surroundings, using its volumetric presence to create another element for the park walking paths, like the entrance plaza, that not only connects the two levels of the building but also allows the contemplation of the park and the eastern hillside of the city.